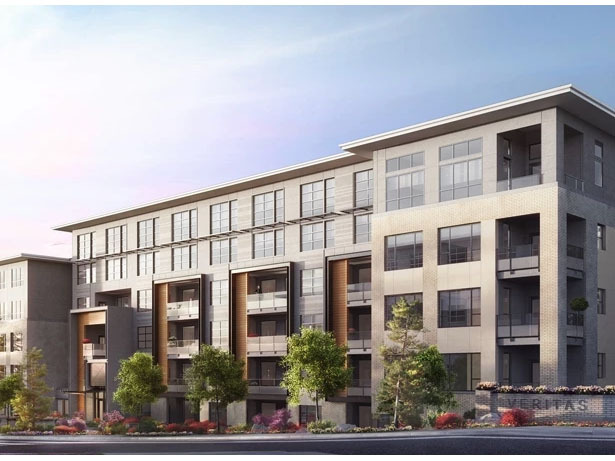 Veritas by Polygon consists of modern one and two-bedroom condos overlooking Burnaby Mountain. 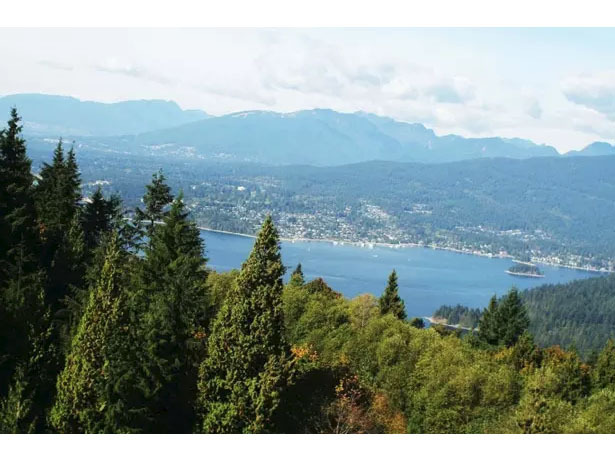 It is located at 8999 Cornerstone Mews, Burnaby, just steps away from the protected forest, known for its natural beauty and spectacular views. Veritas also has close access to Simon Fraser University – Canada’s top comprehensive university. It’s an ideal location with lots of local services, restaurants, shops, and social opportunities. Veritas is located next to University High Street – a social hub of the neighbourhood offering village-style shopping and restaurants. 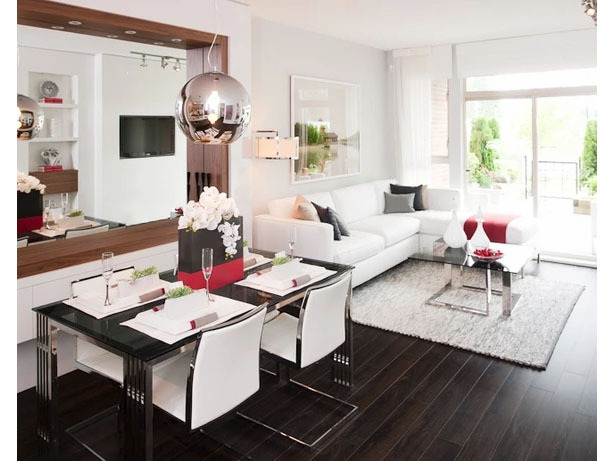 An elementary school, childcare centre and parks are all within walking distance as well. The area also includes a transit system served by four major bus routes and the Millennium sky train line is located nearby at the foot of the hill. The community also has a large central courtyard and fully equipped fitness studio for residents to enjoy. Veritas has a contemporary West Coast architectural style, designed by Letkeman Architects Inc. It incorporates large roof overhangs, three-storey wood detailing and extensive brick facades. 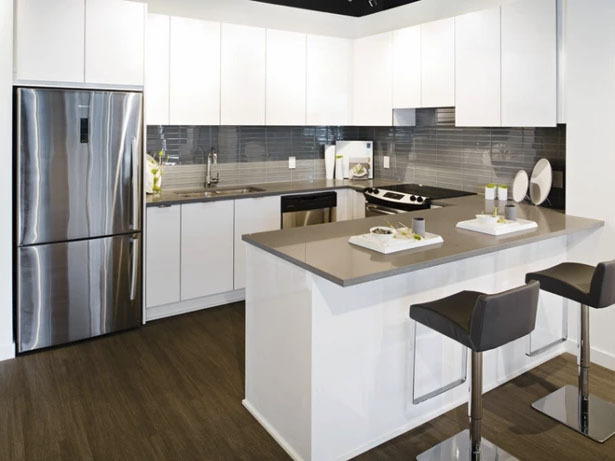 The apartments feature airy over-height ceilings, spa-inspired ensuites and gourmet kitchens with modern finishings, assuring a new standard in stylish condo living.